Carrying excess body weight increases your risk of a number of chronic health conditions. Pedro Ortega, MD at Central Florida Primary Care, with offices in Winter Park and the MetroWest community of Orlando, Florida, focuses his practice on prevention and offers a medical weight-loss program to help you drop the weight. 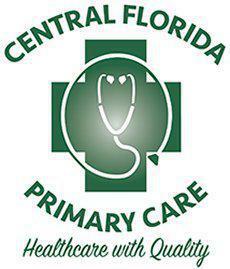 For support and motivation, Central Florida Primary Care has an on-staff health coach. To get started on your weight-loss journey, call the office or schedule an appointment using the online booking button. If you have diabetes or high blood pressure, losing weight could help improve your numbers so much that you might be able to stop taking some of your medication. Do I need to follow a strict diet to lose weight? You don’t need to follow a strict diet to lose weight. In fact, restrictive fad diets can make it more difficult for you to keep the weight off. Dr. Ortega focuses on prevention and recommends a diet filled with healthy foods from all the food groups so your body gets all the nutrition it needs to function at its best. Dr. Ortega knows no one diet fits all circumstances, so the team at Central Florida Primary Care will work one-on-one with you to create a diet plan that fits your taste buds, health needs, and weight-loss goals. Is exercise part of the weight-loss program? Exercise is an important part of any weight-loss program. Dr. Ortega and his team will develop an exercise plan that fits your fitness level. Ideally, you should be getting 30 to 60 minutes of aerobic activity, which includes a brisk walk or bike ride, five days a week, plus, muscle-building activities that work out all your major muscle groups twice a week. This might seem like a lot of exercise if you’re not used to working out, which is why Central Florida Primary Care has a health coach on staff to help you get started and keep you motivated. It’s OK to begin an exercise plan slowly and work your way up. Any movement is better than none. The health coach at Central Florida Primary Care helps you create a healthier lifestyle to meet your weight and health goals, which can include assisting Dr. Ortega in creating your personalized diet and exercise plan. The health coach also closely monitors your progress and helps you work on creating healthier habits as you reach each of your goals. The health coach also acts as your cheerleader, comforter, and sounding board. For a weight-loss plan that will help you lose the weight for good, call Central Florida Primary Care, or use the online booking button.